If you are an individual that feels comfortable getting off the beaten track, then the ruins of the ancient city of the Palenque in Chiapas Mexico is a must see sight for you. Although the most well known ruins include the Mayan structures throughout the Mexican Peninsula the Palenque was located in an ancient Mayan city state, and today it offers travelers some of the most exquisite and intricately designed architecture in all of Mexico. While the site is still being unearthed there is much you can learn by visiting it. 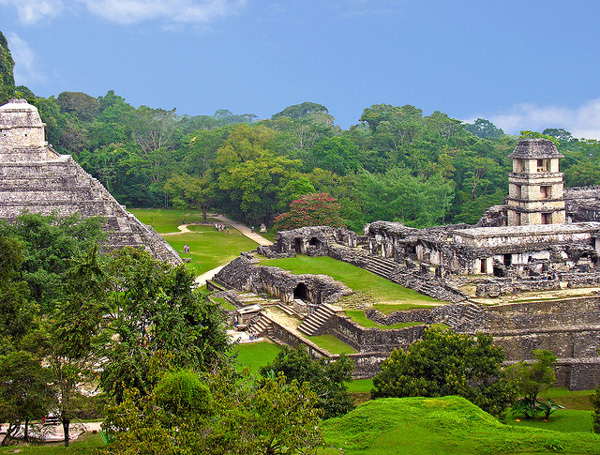 Archaeologists date the ruins of Palenque back to the year 226 BC. The ancient Mayans controlled the city but its most famous ruler was Pakal the Great and his tomb is one of the most popular sites of the ruins. As a visitor you will have to journey by car nearly 7 ½ hours to the site. Once there you will be overwhelmed by both the beauty and the humidity of the site as it is located in the heart of the Tumbala Mountains. 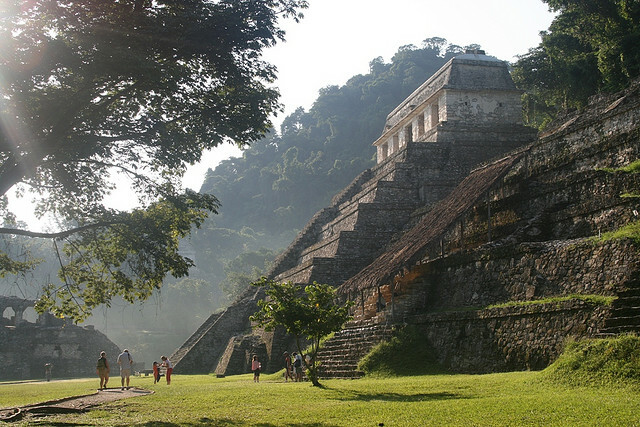 These mountains provide breathtaking views throughout your journey of the ruins of Palenque. The intricate designs and carvings found throughout the ancient city have baffled archeologists for hundreds of years and are still being solved to this day. During your visit you will get to experience the life of a Mayan and walk in the footsteps of the ancient priests and rulers of the time. There are several pyramids located within the city most of which were used for ceremonies and rituals. The tranquility of the site will be lost in the emotions you may feel while visiting Palenque and dream of its distant inhabitants who vanished off the Earth. As a location Palenque is inconveniently located, but through the miles and hours of driving you will reach one of the most magnificent locations in the world. Palenque is the most studied and written about ancient Mayan city in history and even though its whereabouts have been known for over a century it still has only been excavated about 10% of its entire surface. A trip to the jungle and this ancient city has to be on your list of the best places to see before you die because of its exotic beauty and mysterious past.